Bugatti Archives - Muscle Cars Zone! Amazing Justin Bieber Car Collection & Private Jet! 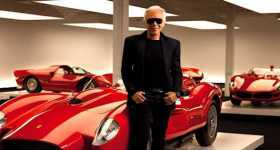 Ralph Lauren’s Extravagant $350 Million Dream Car Garage! 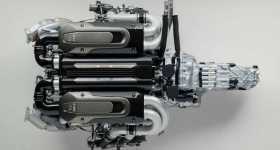 This Detailed 1:4 Scale Bugatti Chiron Engine Costs $10,000! 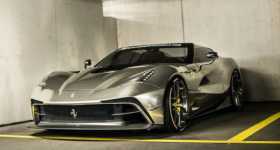 Massive $100 Million Supercar Car Park Including The Bespoke Ferrari F12 TRS! Lamborghini Centenario vs Bugatti Chiron vs Jaguar F-TYPE SVR! The Biggest Supercar Collection In The US! Bugatti Veyron Crash! 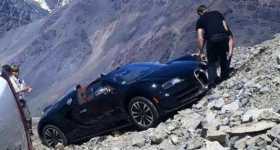 This Supercar Was Seriously Damaged at the Andes Mountains! 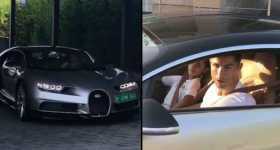 Cristiano Ronaldo Bought 2017 Bugatti Chiron For $3 Million! Cristiano Ronaldo Car Collection! It Looks Absolutely Stunning! 13 YEAR OLD Drives Bugatti Veyron Over 200 MPH!